Tammy and I feel that one day Don Greytak will by seen as one of the most significant artists of our era. This is because, like Charlie Russell, Don is giving us a look into the life he knows so well. The one thing Don Greytak and Charlie Russell have in common is that they have experienced, on a daily basis, a lifestyle they convey to us in their art. 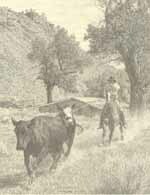 Russell depicted the life he lived, the cow hand and ranch life, the indians of the late 1800's, and their relationships with each other. Don carries on that tradition with his images of the next era, which he knows from personal experience - the homesteader, farmer and rancher, and the characters and lifestyle that are his world. On this page are items 89 to 96 of 165 items. or to order click on image. You are on page 12. Below are direct links to the other pages. These items currently being displayed by title.